Congratulation, you just purchased an ID card printer. Unboxed it, put it on your desk, plug the power supply and the USB cable from the printer to your computer. Some more advanced users may have used the Ethernet port on the printer, if available. But now what? Here's what I've been explaining to our customers for nearly two decades. These are good starting points to make sure you use your printer correctly and keep it running for years to come. Now that your printer is connected to your computer, you need to install the Driver for your computer to recognized it and allow you to print. You can use the CD-ROM that was in the box, but the best is to visit your printer manufacturers website and download the latest version of the driver. That way, you will be UpToDate with all the new features and security patches available. 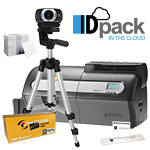 The first thing to understand is that as far your computer is concerned, an ID card printer is just a regular printer, like any ink-jet or laser jet printer. Your computer can't tell the difference between them. You can open any software in your computer and print to your ID card printer. For your computer, the only difference is the output dimensions. The plastic ID card (or CR80 format) dimensions are 3.375" x 2.125" (85.6 mm x 54 mm) and that's how your computer sees the output. It will print whatever you send to the printer in that format. 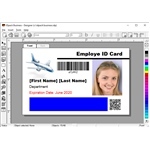 We put another Post that explains why it is better to use special ID card software if you want to be able to use all the features of your printer, so we won't talk about software here. It's very easy to replace the print head but it's the most expensive part, so be careful. Over the years, we have two ways that people usually damage the print head. The first one is using a pre-punched card. It's not a very good idea; you think of saving time but in fact, you risk damaging the print head. ID card printers are thermal printers, meaning that when the plastic ID card moves under the print head, the heat burns the color into the plastic. When the print head passes over a punch hole in a card, it can scratch, and it will be damaged. If you pass your finger over the punch hole, you can fell the bump in the plastic, so imagine what happens when those bumps start hitting the print head. Punch your card after printing it. You will save money. The second one concerns opening the cover: when the cover of the printer is open to access the inside for whatever reason, the print head is exposed. Be very careful when changing the printer ribbon, not to hit the head with plastic parts, your jewelry, rings, watches, etc. This is the most common way of damaging your print head. When printing ID cards, if you notice a long white line going across the design, which means your print head is either damaged or very dirty. First, clean the printer/print head properly and try again. If you still see white lines, you need to contact us for more information. 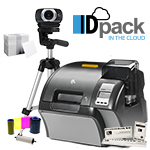 Your ID card ribbon provides the ink for your printer, but it doesn't work like an ink-jet or laser jet cartridge. The ribbons come with a dispenser (that holds the rolls) or just the rolls. Around the rolls, you have the ribbon that contains panels of color. The ribbons can be quickly identified depending on the type of panels in the roll. Example: YMCKO (Yellow, Magenta, Cyan, Black and Overlay) ribbon. The Overlay is the transparent panel that covers the whole card and protects the colors. Some ribbons don't have the Overlay which means the colors will disappear quite rapidly. There are many different ribbons, like KO (Black and Overlay) or YMCKOK (Yellow, Magenta, Cyan, Black, Overlay and Black) for dual-side printers with Black on the second side. For monochrome ribbons like Black or Red, it is just a continuous ribbon of the same color. You can't save money on ink because your ribbon has a precise number of prints. For example, YMCKO with 250 prints means it has 1250 panels (Yellow, Magenta, Cyan, Black and Overlay – 5 x 250). So, your printer will not print more than 250 cards with this ribbon, even if you print only a little logo on your cards. Panels go around the second roll and when the first roll is empty you must change the ribbon. Since your printer does an edge-to-edge print, take advantage of the printer and print as much as you can. You won't be saving ink by printing less on each card! It doesn't work like that! Tips: Don't reopen the cover unnecessarily after changing the ribbon. 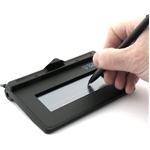 Every time you open and close the cover, the printer will sync the ribbon and you will lose many panels. Open the cover only when the ribbon is empty of you have a card jam. This will save money! Because it is a thermal printer, ribbons break in the printer from time to time. This is normal. Don't throw the ribbon in the trash when this happen, just use scotch tape to tape the end of the ribbon to the second roll (tape it on the correct side), turn the roll a few times so that you don't see the scotch tape and close the cover. The printer will sync the ribbon and you can continue printing your ID cards. If your ribbon breaks too often, check the temperature of your print head in your computer/printer properties. Maybe it is set too high and cuts the ribbon with the heat of the print head. This is a very important step to do after every 500 cards, or after changing two ribbons. By doing a printer cleanup, you help keep your warranty on the printer, an even ID card print quality and you extend the life of your print head. Thermal printers create residue from the ribbon that sticks on the print head and can drastically lower the print quality of your cards. This residue also goes onto the rollers that move the card inside the printer. Cleaning the printer properly will clean all those parts. A printer cleanup usually involves three steps. Before you start cleaning, you need to remove all the cards from the feeder and remove the ribbons. 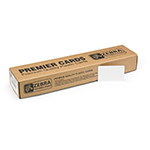 Use the cleaning card; it looks like a CR80 card but is made of carton instead of plastic and moistened with alcohol. Use the pencil or swab to gently clean the print head. Depending on your printer, you need to replace the Cleaning Roller or clean it with the wipe. We can't explain in this post exactly how to clean your printer, because every printer is different. See your user guide about how to proceed. But it's important to understand how to do it! CR80 cards are what we call Dust Collectors. They contain statics and attract dust very easily and this is bad. When printing the cards, the dust sticks under the overlay and will be visible. Keep your cards in a box or in the card feeder. That way you will get less dust on them and better print quality. Always hold a card by its side; do not put your finger on the card before printing. If you do so, your fingerprints will get on the card, and with the thermal head and overlay, your fingerprints will show on the card. Do you want your fingerprints on every card that you give out? Take good care of your printer and it will last for a long time. 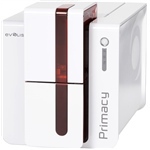 We have an Evolis printer here at the office for 12 years now, and it is still working very well! 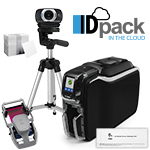 Getting a Photo ID system is a good investment; just make sure it will work for you for many years to come!